Good news ! 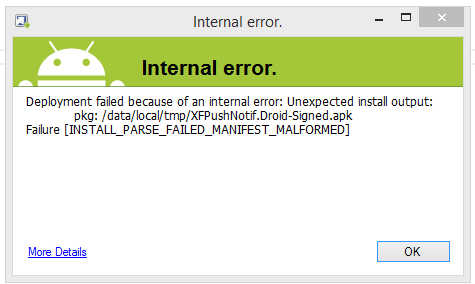 it seem to be Xamarin has fixed this issue in the new update, either way if by any chance you are using the above version of Xamarin, you better watch out. So for you fellow developers ease of use, I thought of summing up the fix and posting it here. 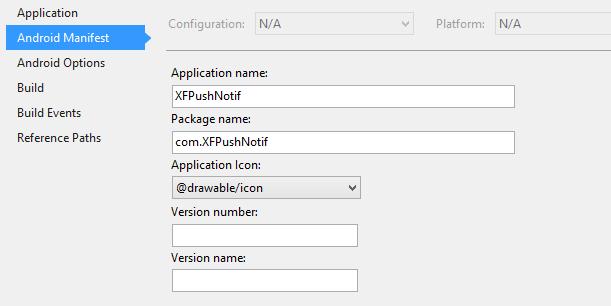 If you go to your Xamarin Android Properties , you will notice something strange, that the Application name and Package name is missing by default. 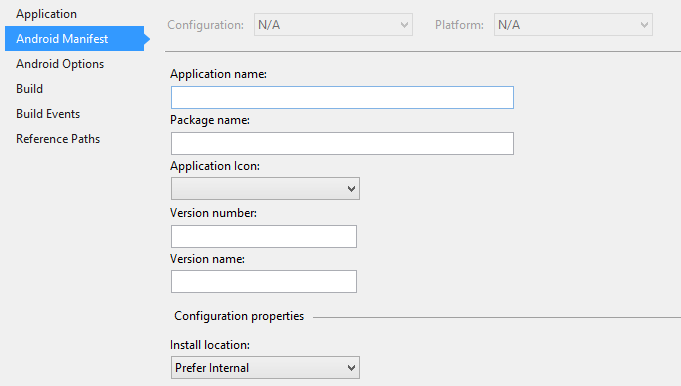 I found that this is what is causing the above deployment error. Those values suppose to be filled up by Xamarin, in the moment when the project was created, but probably for some bug, its missing there. So go ahead and fill up those boxes with appropriate values, Application Name and Package Name.